Is'thunzi is a South African teen drama television series created by Amanda Lane and set in the fast-paced world of South Africa's born-frees and in an age of wireless headphones, "dabbin" and memes, which follows the exploits of four girls who call themselves Ninjas. The series unpacks the complexities that teenagers are faced with from all walks of life and the choices they are forced to make on their journey to adulthood. Leading a group of girls who refer to themselves as "Ninjas", the drama unfolds when we meet the go-getter and sassy Winnie (Thuso Mbedu) who dreams of marrying a rich and famous rugby player. But her dreams are dashed when she's exiled to go live with her strict aunt in Bergville, KwaZulu-Natal. In Bergville we meet the rest of the Ninjas: the young wife Londi (Zikhona Bali) who defies her in-laws by returning to school to get her matric; the misunderstood creative spirit Thishiwe (Makgotso M) who terrifies the community because of the darkness that befell her family; and completing the squad is Noxolo (Yolanda Msimanga), a shy and smart girl with a shameful secret. Joining the ensemble cast are Nandi Nyembe, Sdumo Mtshali, Bohang Moeko, Mbali Maphumulo, Pallance Dladla and newcomer Thulane Shange. Can Cinderella find her prince and create her own happiness without the help of her fairy godmother? 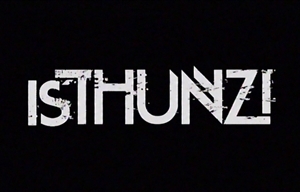 Is'thunzi is produced by Rapid Blue with executive producers Duncan Irvine, Kee-Leen Irvine and Ed Worster. Janine Wessels is a producer. The series was created and directed by Amanda Lane, who is also the head writer and storyliner. Thishiwe Ziqubu is a scriptwriter and translator. The Handmaid's Tale returns to M-Net, two Mzansi Magic series make their way to Wethu and The Home Channel does a reality makeover.